Back to the general courtyard. I added a few planters and finished the compass inlay. 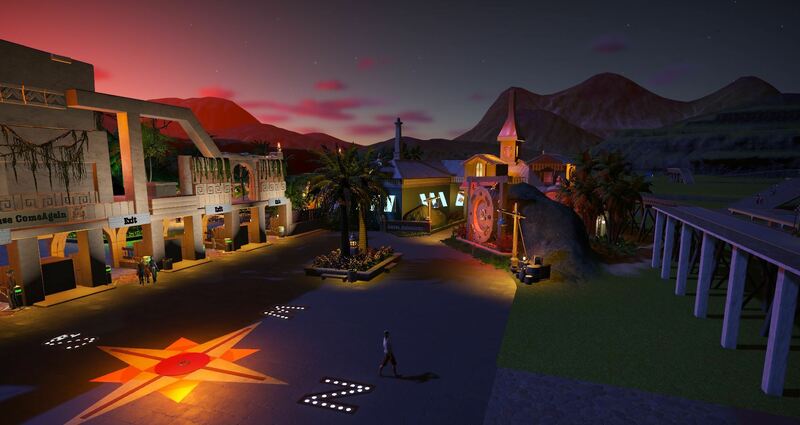 I've got to start doing plaza decorations like that compass. You always do it and it always looks great. Good point. I think its wrong. 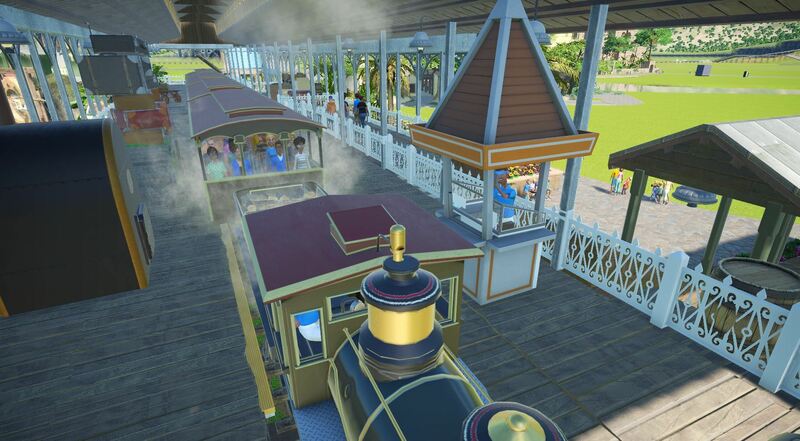 I was setting it up as the entrance faces north, but the way the sun moves in game, compared to the park, does not look correct. Now this is going to bug me throughout the build. Thanks a lot buddy! Hehehe, just doing my job . 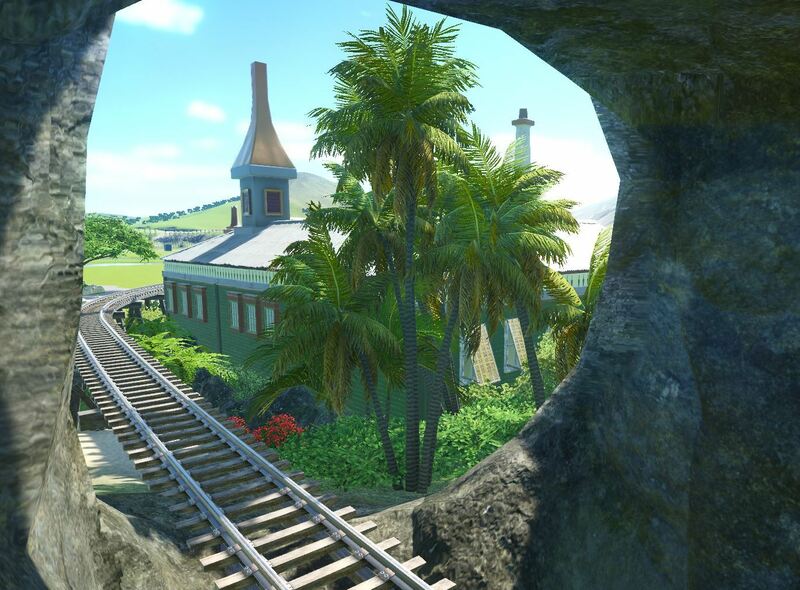 Here is the back of the building that the Adventure Express passes by on its way to the station. The view from the train as it enters this area. 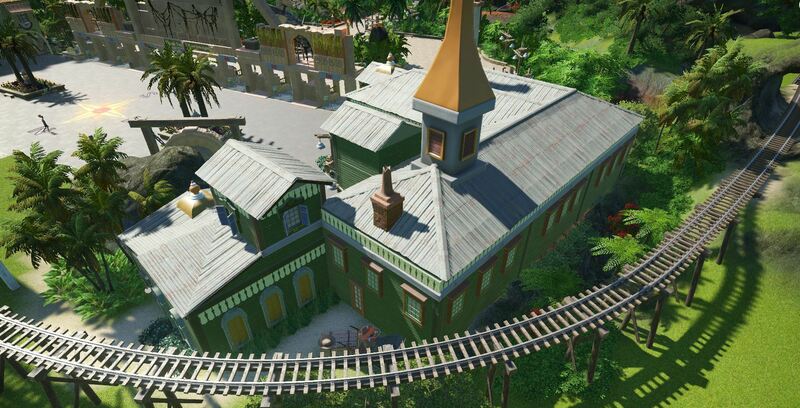 That building and the way the train passes by look perfect. This is 17 kinds of beautiful!!!!! THX guys. I need to redo the window shutters. I used a tv monitor (as a billboard originally) but they are lit up at night and I didn't really like that...but I see we have new shutters in the new DLC, so I will swap those out as soon as I get a chance. 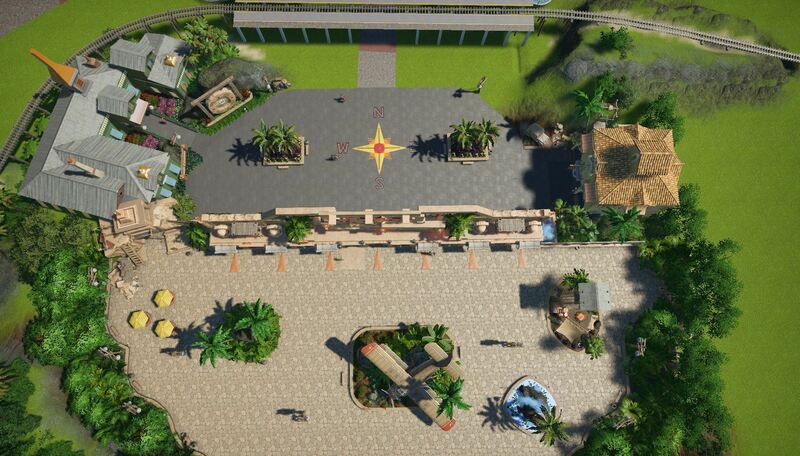 Layout of the plaza from above as it stands right now. 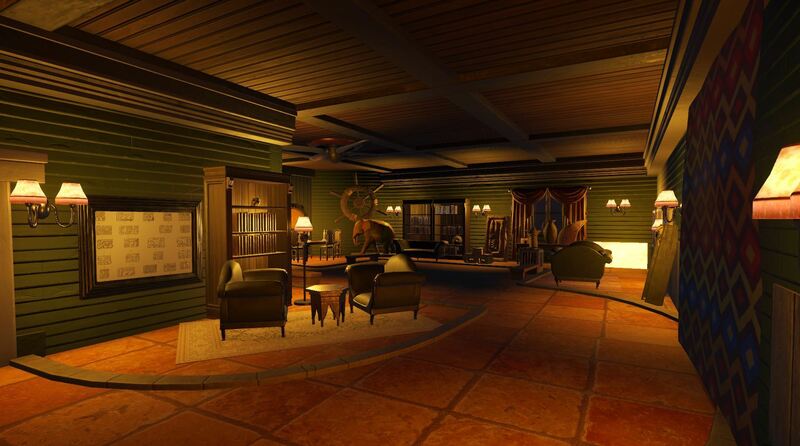 Inside the Guest Relations building you can relax, observe old trinkets, or have discussions with friends or experts. 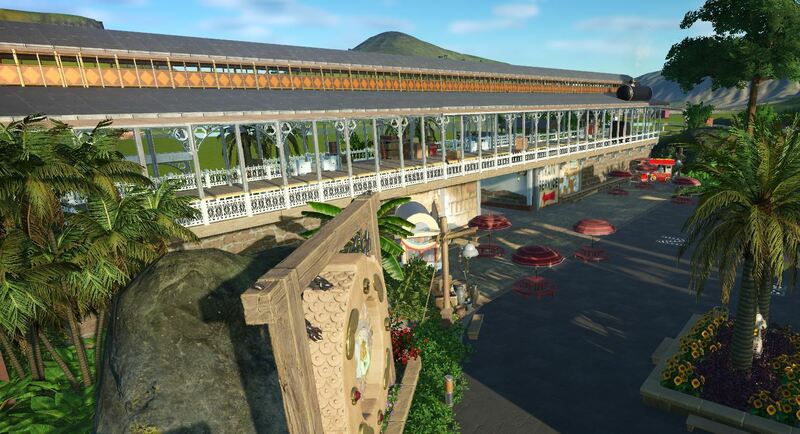 I guess I may have a posh park in the making here then??? I guess this is more of an Adventure's Club. Maybe I will change the signage. That's what I was thinking- An Adventurer's Club. One expects to see Phileas Fogg sitting there, sipping brandy and relating of his tales around the world in 80 days. 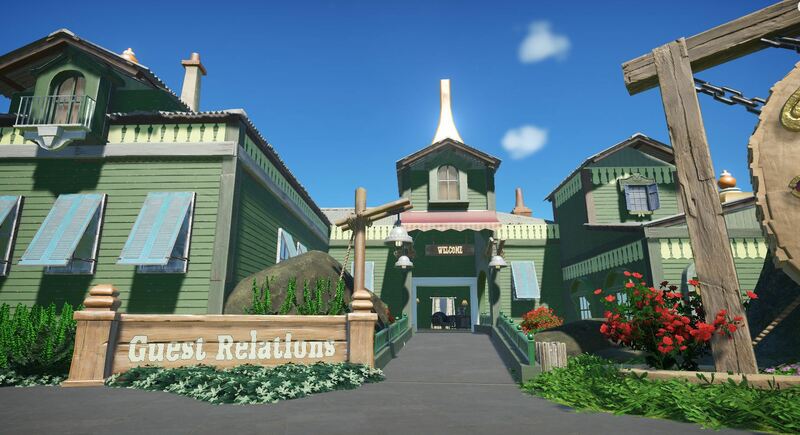 I think thats what was in the back of my head as I was building this, but the name just wasn't popping...and all I could come up with was guest relations. 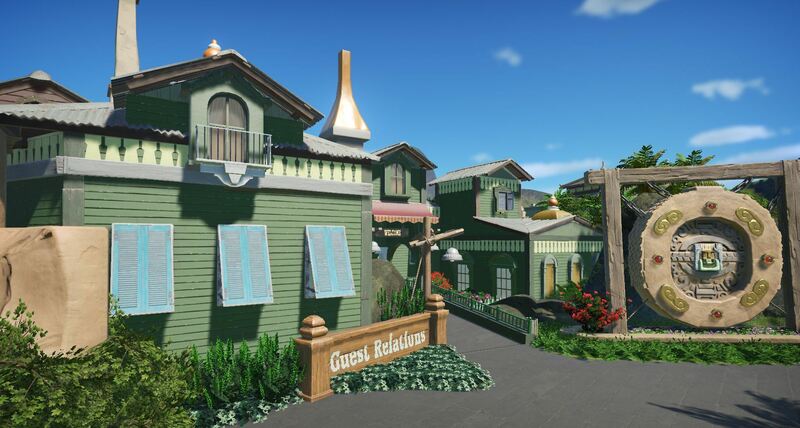 After some feedback, I changed this building to now be called the Adventurer's Club, instead of the Guest Relations building. 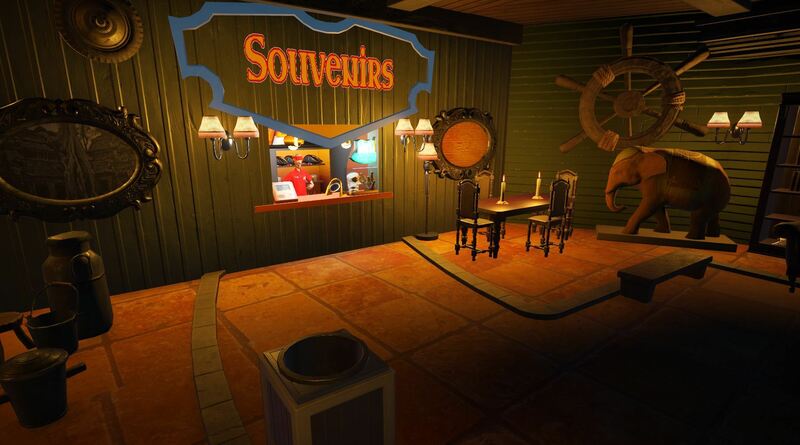 Also, the shutters have been updated from being tv monitors (acting like a billboard), to using the new in game shutters, so that they do not light up at night. Impressive as always. 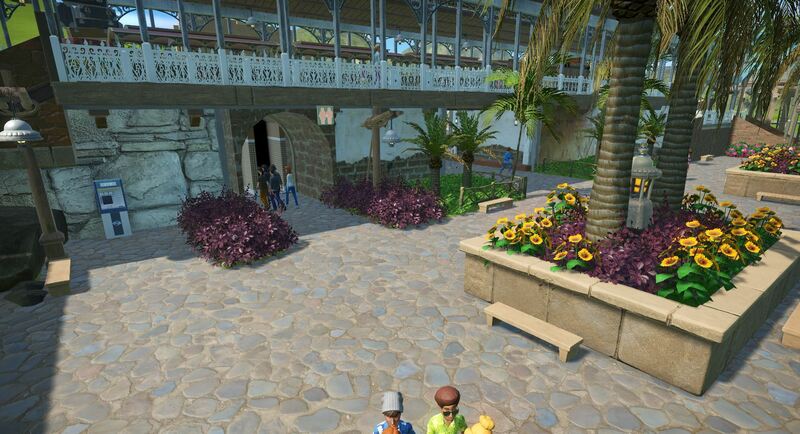 This will be a very unique park because using a term such as "adventure" leads to many interpretations on how one would craft a park. I know you are going to continue to do a stellar job and I cannot wait to see how this all turns out. Adventure Club is a better name . Besides, it lets you sell merch. 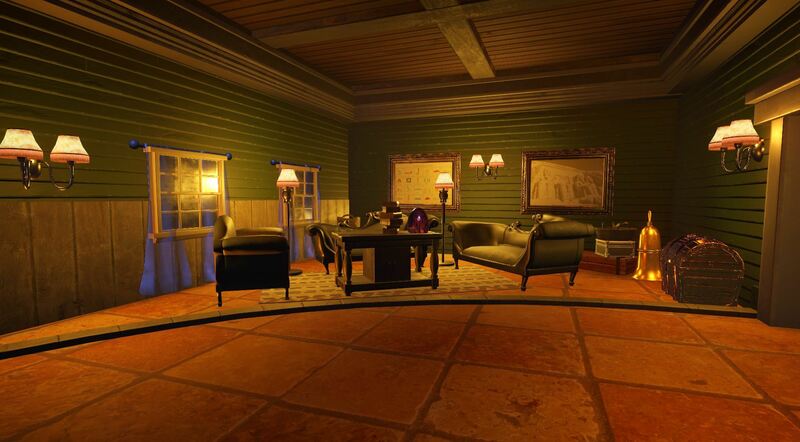 I love the new shutters, and I really love that interior. Great choice of colors to fit the theme. And of course I've always also loved how you use billboards for floors, I don't know why I've been so scared to try that. Awesome layout. 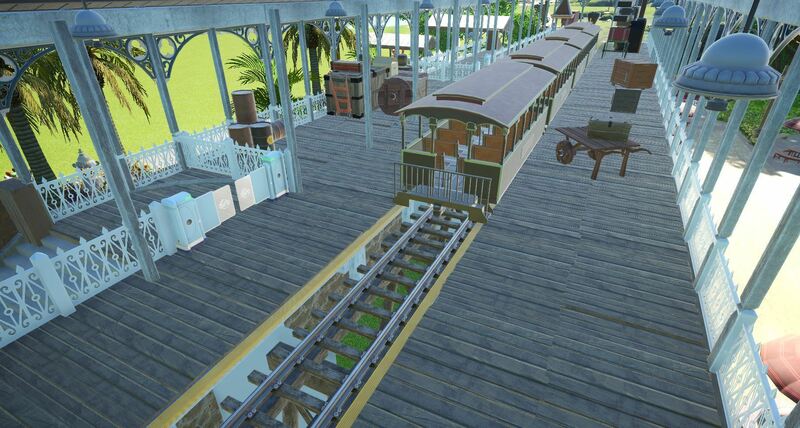 I hope your computer can take all the detail when your park is bigger, realy looking forward to your next update! Completed. 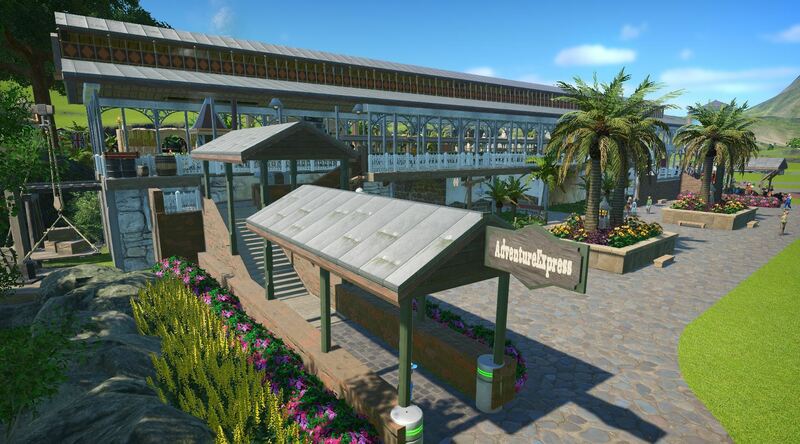 Also, with a churro stand and popcorn stand for a quick snack on the plaza side of the station. yes - I used billboards in many places here. The wall photos (like the train sign and the notes pasted on the wall) that I used are ones I took personally from Disney's Animal Kingdom. 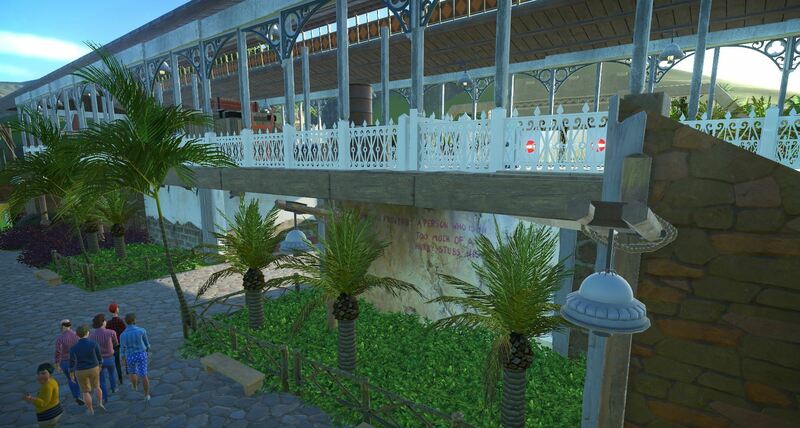 I love the new train station. So many details. And you'd heard it before, but the subtle but effective use of billboards really takes this (and all your work) up a notch. Page created in 0.18 seconds with 33 queries.